These 11 point manila jackets guard against the growth of bacteria, odors, algae, mold, fungus and mildew. Ideal for use in daycares, schools, home, high traffic offices, government buildings, medical and dental offices. 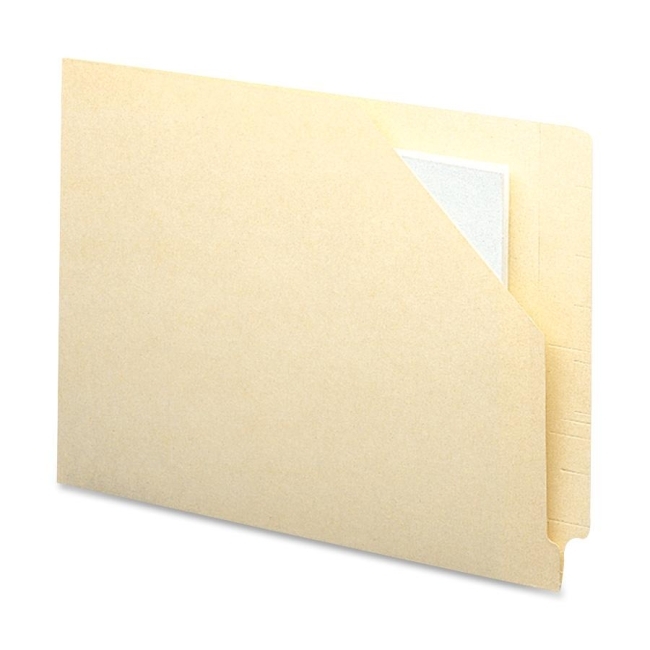 These jackets are closed on the bottom and one side to keep documents safely inside, and are well suited for storing medical charts, X-rays or photos. The front panel is cut diagonally and the right edge is open for easy access to contents. Straight-cut, two-ply tab measures 1/2" wide. Tab embossed for label placement. Full height gusset closed on left edge, right edge open.